Toronto, Ontario, March 27, 2019 – Continental Gold Inc. (TSX:CNL; OTCQX:CGOOF) (“Continental” or the “Company”) is pleased to provide a construction update for the Buriticá project in northwestern Antioquia, Colombia. 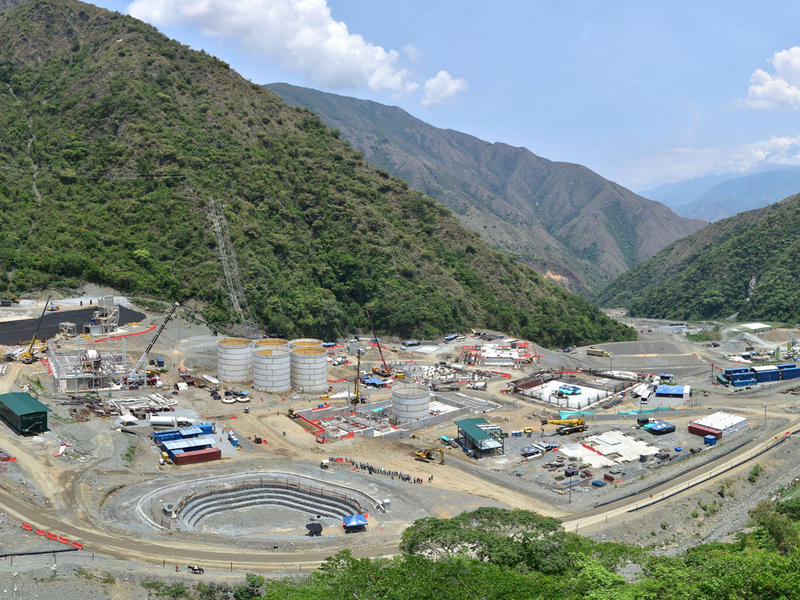 Construction of the overall Buriticá project is 56% complete and remains on schedule for completion and first gold pour in H1 2020. Ramp-up to commercial production is anticipated approximately six months thereafter. Major equipment including the SAG mill and primary crusher are in place and installation of ball mill shells are underway. Structural steel erection is advancing rapidly in many areas, particularly for the crushing, grinding and tailing filtration circuits. In early March, crews reached a significant milestone by surpassing 10 kilometres of underground development advance. 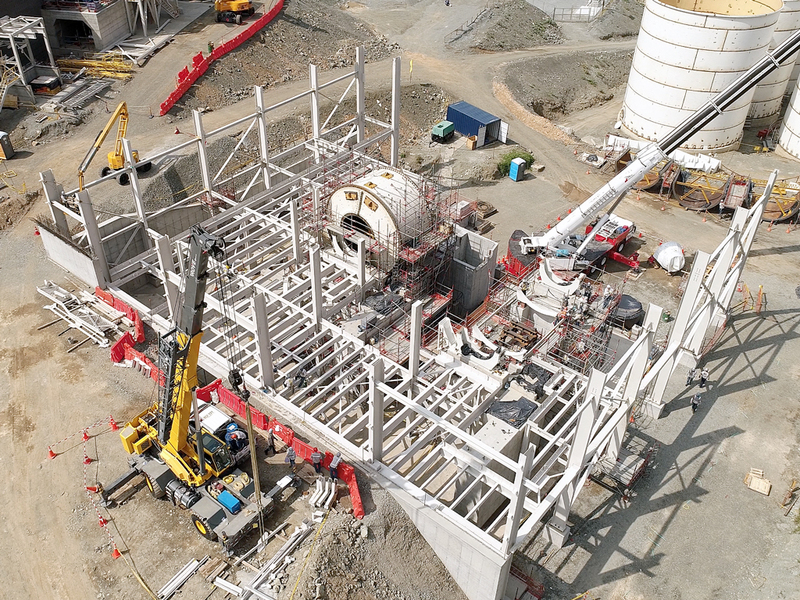 As of March 22, 2019, approximately 74% of the pre-production development plan has been completed, totaling 10,529 metres of lateral underground development. Top sill development is complete or advancing for 14 stopes in the Yaraguá system and six stopes in the Veta Sur system; ground conditions within these areas continue to meet design expectations. 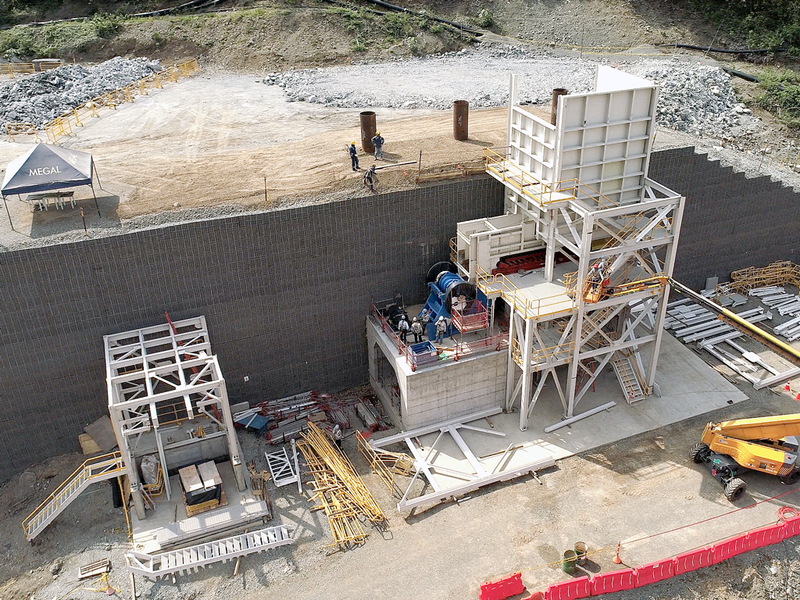 As of March 22, 2019, construction of the Buriticá project has reached 56% completion; mill and surface infrastructure engineering and procurement is over 98% complete. Concrete work continues to advance rapidly, and mechanical installation and structural steel erection have begun in key areas, including crushing, grinding and tailing filtration. Significant progress has been achieved in the grinding area, where the SAG shell, end caps and discharge trunnion have been installed; the ball mill shell is 50% installed. The primary crusher and apron feeder, including drive components, have been installed. In the tailing filtration area, the filter feed tank is approximately 80% complete, and installation of the feeders for moving filtered tailing to the conveying system is over 70% complete. This work will be followed by structural steel and filter press installation, beginning in Q2 2019. Welding has been completed on all five leach tanks and significant advance has been achieved on the concrete for CCD #1, tailing thickener, clarifier and cyanide oxidation tanks. At the tailing storage facility, the contractor has started excavating, filling and placing geogrid material. The 110-kV powerline installation is 44% complete and remains on schedule for completion in Q3 2019. Pre-production underground development is approximately 11% ahead of schedule and is nearly 74% complete. At the current rate, the Company anticipates the required pre-production development will be completed in Q3 2019, which will allow crews to focus on Year 1 production development and provide access to additional stope areas. The first production long-hole drill machine for the project arrived at site in December 2018; crews have been training since mid-January 2019 and recently completed their first 10-metre drop raise for ventilation in the Higabra development area. Comprehensive definition drilling continues as an integral part of mine development. 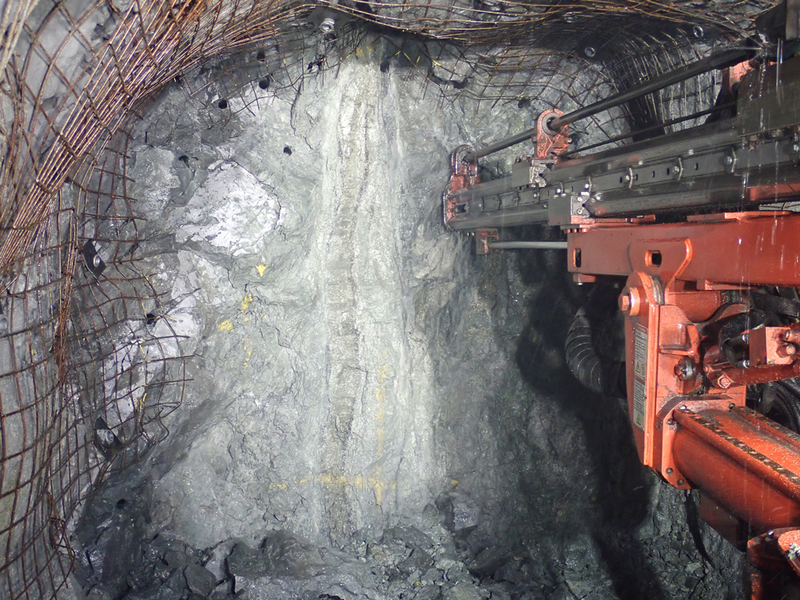 Monthly definition drilling is increasing as the mine is being prepared for H1 2020 production. Continental Gold is the leading large-scale gold mining company in Colombia and is presently developing it’s 100% owned Buriticá practices for mine construction, environmental care and community inclusion. Led by an international management team with a successful record of discovering, financing and developing large high-grade gold deposits in Latin America, the Buriticá project is on schedule with first gold pour anticipated during the first half of 2020. For information on the Buriticá project, please refer to the technical report, prepared in accordance with NI 43–101, entitled “NI 43‐101 Buriticá Mineral Resource 2019‐01, Antioquia, Colombia” and dated March 18, 2019 with an effective date of January 30, 2019, led by independent consultants Ivor Jones Pty Ltd. The technical report is available on SEDAR at www.sedar.com, on the OTCQX at www.otcmarkets.com and on the Company website at www.continentalgold.com. Additional details on Continental Gold’s suite of gold exploration properties are also available at www.otcmarkets.com. This news release contains or refers to forward–looking information under Canadian securities legislation—including statements regarding the development and construction of the Buriticá project, completion of various construction and development activities, ramp-up of underground development activities, timing of first gold pour and production start-up, advancing the Buriticá project and future plans and objectives of the Company—and is based on current expectations that involve a number of significant business risks and uncertainties. Forward–looking statements are subject to other factors that could cause actual results to differ materially from expected results. Readers should not place undue reliance on forward–looking statements. Specific reference is made to the most recent Annual Information Form on file with Canadian provincial securities regulatory authorities for a discussion of some of the factors underlying forward–looking statements. All the forward–looking statements made in this news release are qualified by these cautionary statements and are made as of the date hereof. The Company assumes no responsibility to update them or revise them to reflect new events or circumstances other than as required by law.